Very Smooth. El Dorado’s ICBU shows a bright, medium amber color, slightly darker than the PM version but noticeably lighter than EHP, which is the darkest of the three rums in the Single Barrel series. Aromas of sweet sugarcane greet your nose initially, followed quickly by smoke, sweet oak and butter, sourdough bread and baking smells (like pumpkin pie with a heavy crust), then lesser notes of dry, thin leather and whole dried tobacco leaves, vanilla, and a hint of star anise. The initial taste varies considerably from the aromas, introducing a dry smoky texture, with spice complexity added to the tobacco, and the pie crust becoming shortbread cookies. A well structured, medium-weight body supports the flavors superbly through to the medium dry finish, when baked apples are introduced to complement the other fine flavors. 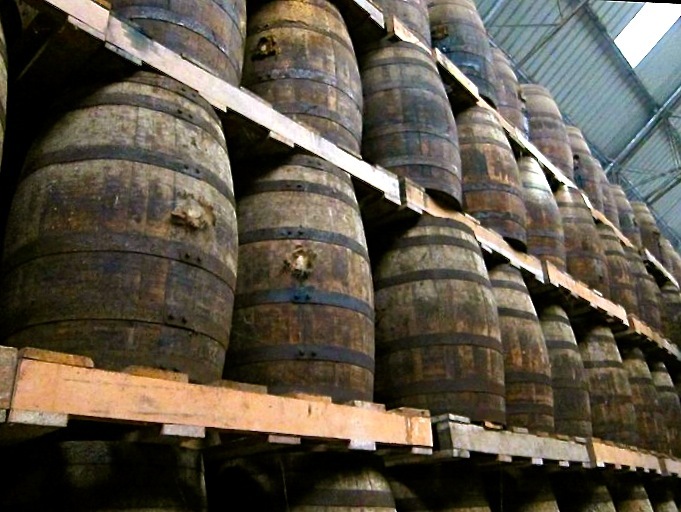 At one time, 384 sugar estates were all producing their own rums in Guyana. 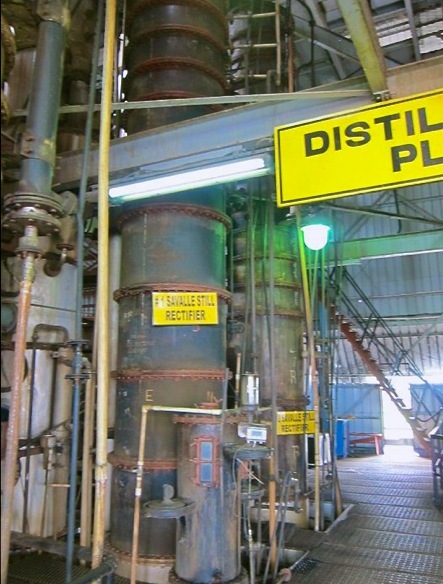 Through consolidation of Guyana’s many distilleries into one company, Demara Distilleries Limited (DDL) now operates a dozen different stills sourced from distilleries previously located in different regions of Guyana. Some of the stills date back over 200 years, and include column stills, wooden coffey stills, and the only surviving wooden pot still in existence (heated by steam pipes in the still). Tiare Olsen is a font of knowledge on Guyanese rum, and as she succinctly explains on her site A Mountaiun of Crushed Ice: : “What was unique was that even with consolidation the important marks were maintained at Demerara distillers - either the identical mark was produced by moving the original still to the new location or by producing it on an existing still on the new location. So even though the original distilleries are closed, the identical marks are produced at the existing distillery at Diamond, which is the only distillery left." 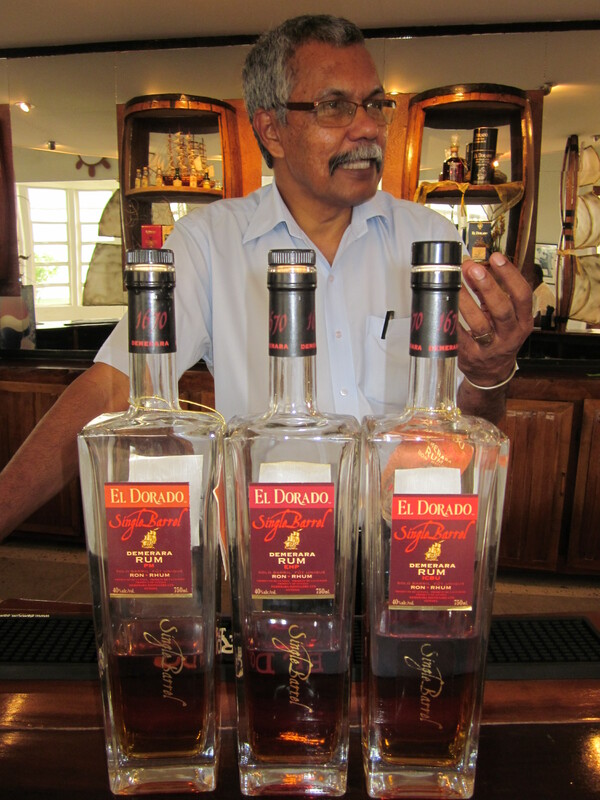 As opposed to most of El Dorado’s other fine rums, which are the result of carefully blending the output from several stills to create the desired profile, each of the three Single Barrel rums is produced in only one of the stills. Reviewed on this page is the Single Barrel ICBU rum, which is produced in the old Uitvlugt French Savalle four-column continuous still, giving a unique rum. [Uitvlugt is a Dutch word, phonetically pronounced “eye flat” in English]. The Uitvlugt Sugar Factory was founded in the 18th Century on the West Bank of the Demerara River. 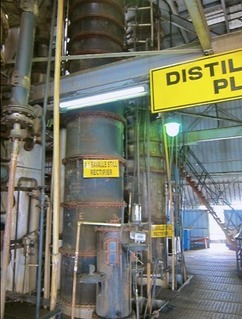 Demerarar Disillers Ltd gives a brief description of each still used to produce the Single Barrel series at their website here: Demerara Distillers Limited. It took me as long to understand El Dorado’s Single Barrel rums as it did to acquire them - nearly five years. Perhaps a bit of a misnomer, El Dorado’s “Single Barrel” line includes three different rums that might more accurately be called Single Still, or even Single Distillate. By any name, the series is unique, each rum is full of individual character, aromas and flavor, and highly collectible. While chatting with Mr. Kanto, I offered that the Single Barrel rums are like examples of the distiller's art in a bottle. Each one is unique, different. In my opinion they are too rare to drink frequently, but together they provide us a much better understanding of the tools at your disposal to create wonderful blended aged rums. All told, El Dorado Single Barrel ICBU is a true connoisseur’s rum, singular in purpose, yet far more polished and palatable than I expected. It isn’t intended to be in everyone’s cup, but it it delivers to the curious, a unique look into an old world style of distilling that is quickly disappearing. The Single Barrel rums are produced infrequently and all three are not often found together on a single store shelf, so acquire them as you can. 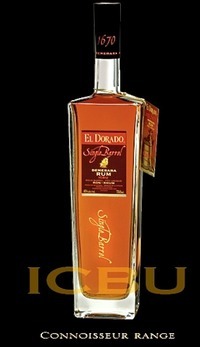 Of course, all serous collectors need the complete series of all three El Dorado Single Barrel rums: PM, EHP and ICBU. But if you’re only interested in a unique, old school, smooth, bready and complex Guyanese rum, then ICBU is right for you. Reviewed: November 2012, August 2010 and September 2008 at The Rum Gallery, USA. Photo Credits: Carl Canto photo courtesy of Bod Davies, aka: The Rumelier. ICBU Aging Barrels and Still courtesy of Martin Cate, Smuggler's Cove. Use the reference charts to determine the specific stills used in each of el Dorado's rums (click to enlarge). The charts were created by Stefanie Holt, International Brand Ambassador for El Dorado rums.